Sartre For Beginners is an accessible yet sophisticated introduction to the life and works of the famous French philosopher, Jean Paul Sartre. Sartre was a member of the French underground during WWII, a novelist, a playwright, and a major influence in French political and intellectual life. 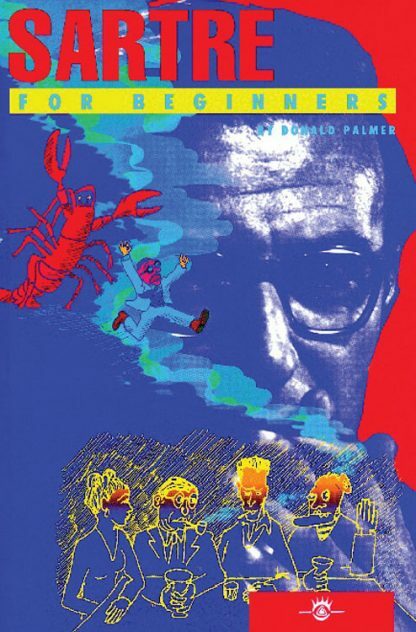 Then it examines Sartre�s early philosophical works. Ideas from Sartre�s other fictional and dramatic works are discussed, but the greatest part is the presentation of the main concepts from Sartre�s Being and Nothingness (1943). These include the topics of consciousness, freedom, responsibility, absurdity, �bad faith,� authenticity, and the hellish confrontation with other people. Finally, the book deals with Sartre�s modification of his early existentialism to compliment his conversion to a kind of �existential� Marxism. Sartre For Beginners summarizes the work of the most renown philosopher of the 20th Century.